In the case of Platukis v. Pocono Segway Tours, LLC, PICS Case No. 13-0967 (C.P. Monroe Co. April 8, 2013 Zulick, J. ), Judge Arthur Zulick of the Monroe County Court of Common Pleas ruled that allegations in a Complaint simply asserting that a Defendant was using a cell phone while operating a "motor vehicle," in this case a Segway, did not give rise to the state of mind necessary to find that the Defendant acted recklessly and, as such, Preliminary Objections to the punitive damages claims were granted. This matter arises out of an incident that occurred when the Plaintiff was taking part in a Segway tour provided by the Defendant. 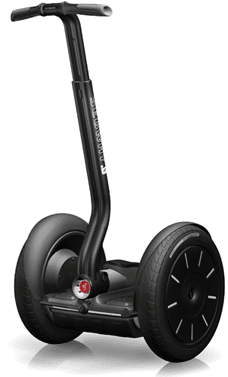 While driving her Segway, the Plaintiff was involved in a collision with another Segway. The person on the other Segway was using his cell phone and allegedly operating the Segway at an excessive rate of speed. The Plaintiff filed suit against the Defendants and alleged punitive damages against the Segway operator and the tour operator. The Defendants filed Preliminary Objections seeking to strike the punitive damages Complaint. The trial court noted that, since the Plaintiff did not allege that the other Segway driver had any “evil motive,” the Plaintiff were required to allege that the Co-Defendants Segway driver’s actions were outrageous and that such outrageous behavior was due to his reckless behavior. Reviewing the Complaint in a light most favorable to the Plaintiff, the court found that the Plaintiff did not allege facts sufficient to support the punitive damages claim. I do not have a copy of this decision. Anyone desiring a copy of this decision may contact the Pennsylvania Law Weekly Instant Case Service at 1-800-276-7427 and provide the above noted PICS Case No. and pay a small fee. Source: Pennsylvania Law Weekly Digest of Recent Opinions (April 30, 2013).